Utama Ekspres Sdn Bhd (UESB), a pioneer of public transporation in express bus services in Pahang was founded in 17 February 1978 and started our first operation in 1st July 1978. The history of UESB began when the company, was founded by the late Tan Sri Kadir Shamsudin, started our first fleets with 5 buses for the routes from Kuantan to Kuala Lumpur.Located our first office at Puduraya’s Bus Terminal then moved to Kuantan in 1982.In 1998 UESB has grown tremendeously over the years and till now at our current office and workshop at Semambu with 108 workers. Our vision is to be a competitive in public transport and a potential Bumiputra’s company in Malaysia express bus services and to consistently meet and exceed our clients’ satifaction.We intensively apply our mission to give priority in safety and comfort to all our passengers from one to another destination. In 1980,The business grew rapidly and within a short period of time, the company’s expanding their routes from Kuantan to Northern areas. 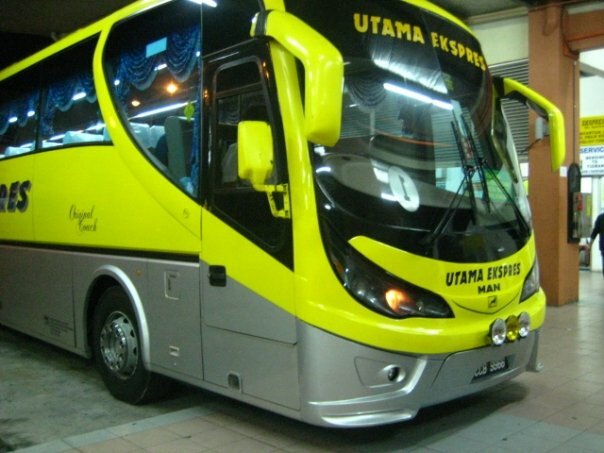 Today, our scope of services range from express bus services, chartered to travelling provider, inner in the field of public transportation, serving several major cities in the Malaysian region.